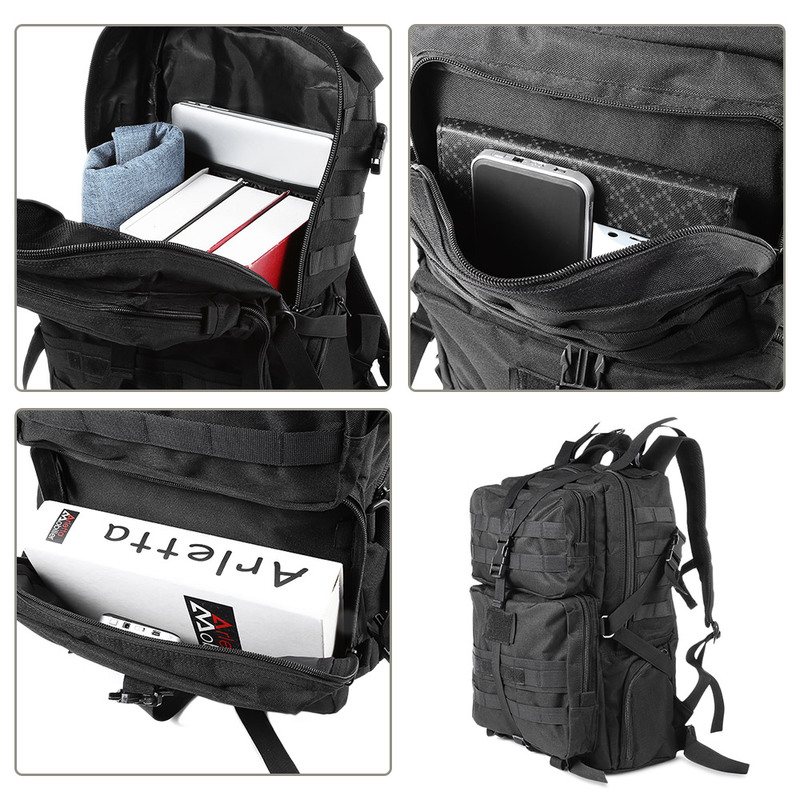 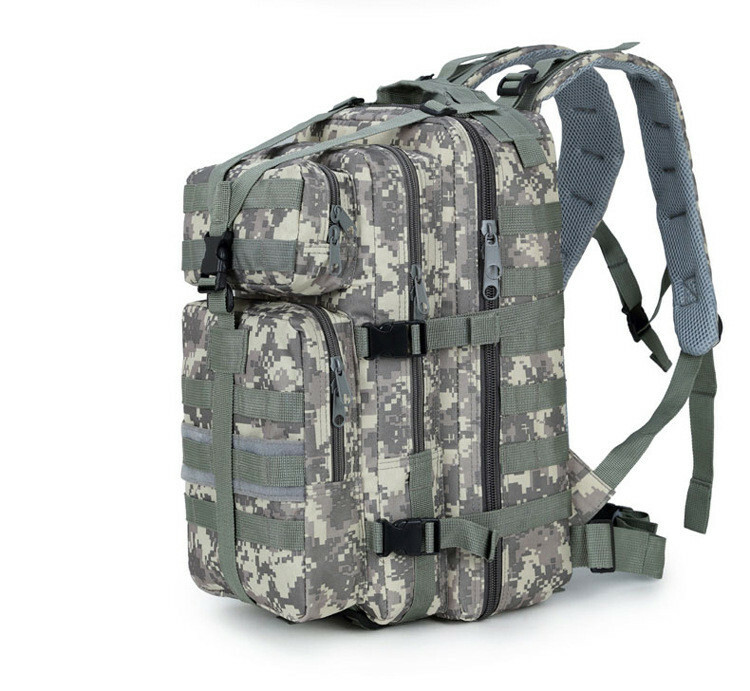 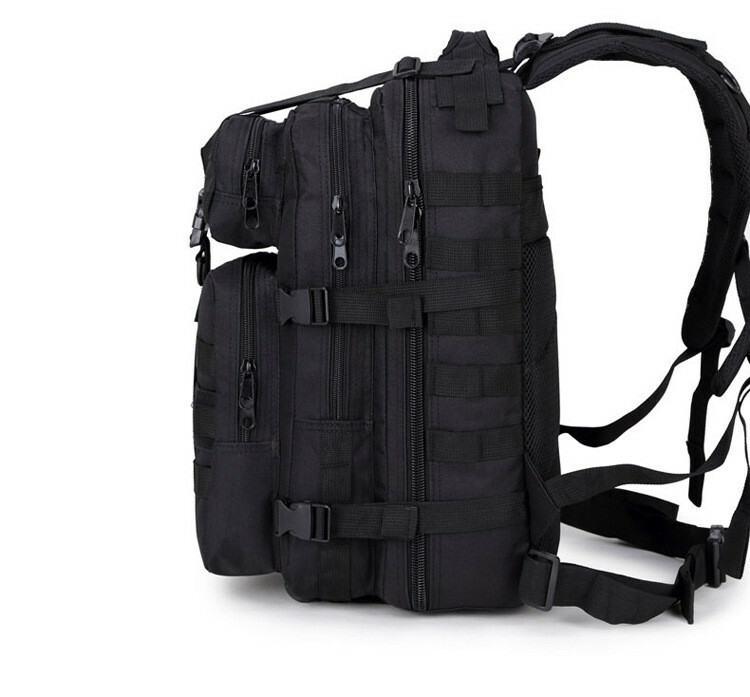 FRONT & SIDE MOLLE SYSTEM: the 3 days assault tactical backpack designed with front & side molle system. 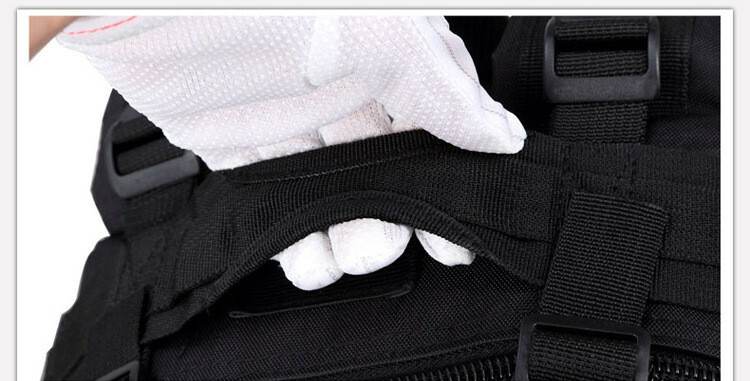 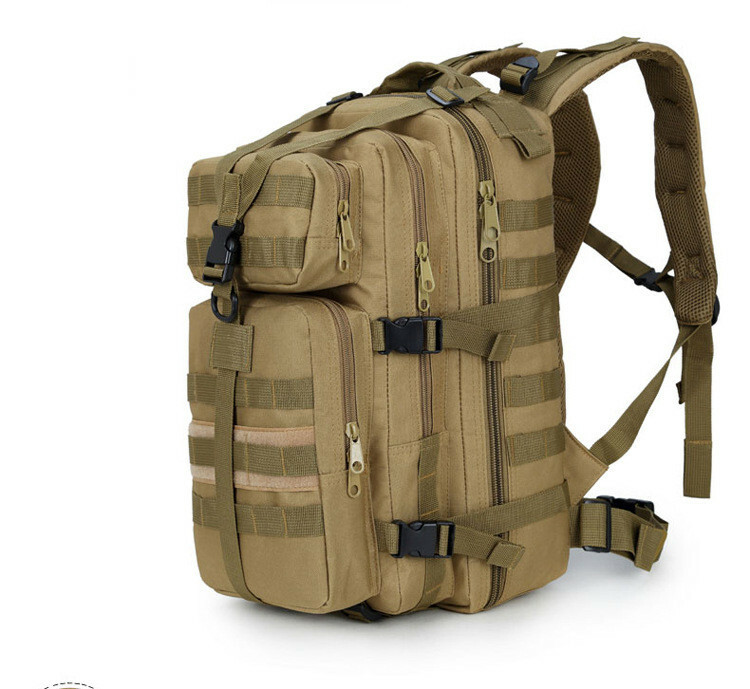 It will be easy to add more tactical pouches or gear to expand the capacity and loading. 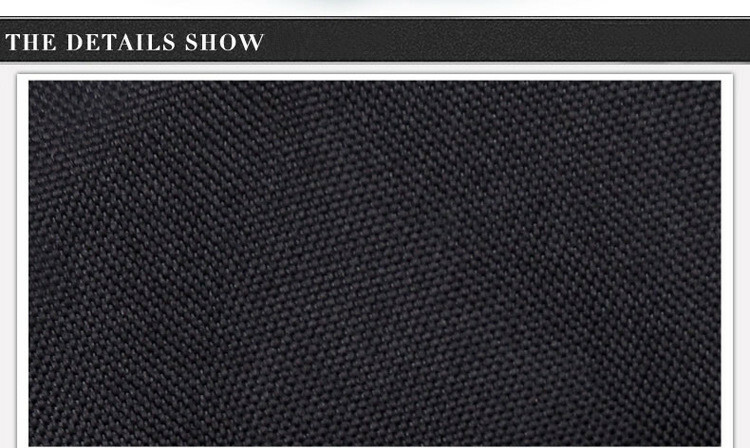 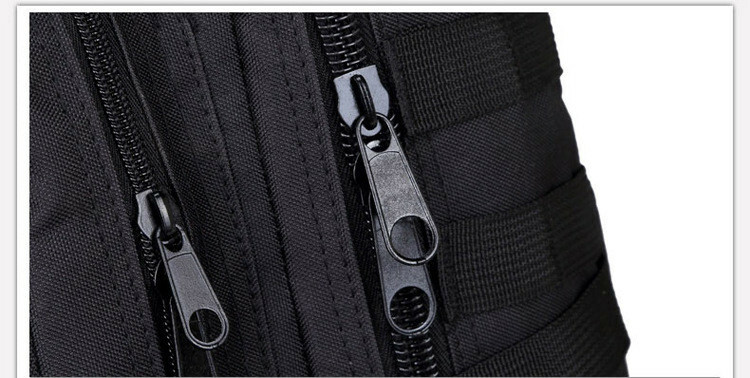 MULTIPLE POCKETS FOR BETTER ORGANIZERS: Front two organizing pockets for storage and quick access the small things; Roomy vice-compartment fits for the clothes, living goods; main compartment combined with organizing mesh pockets. 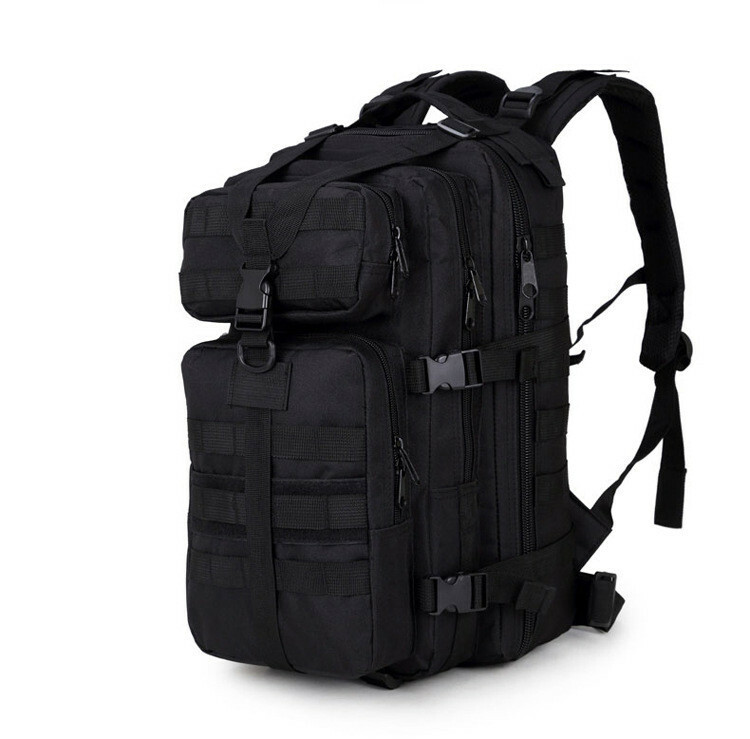 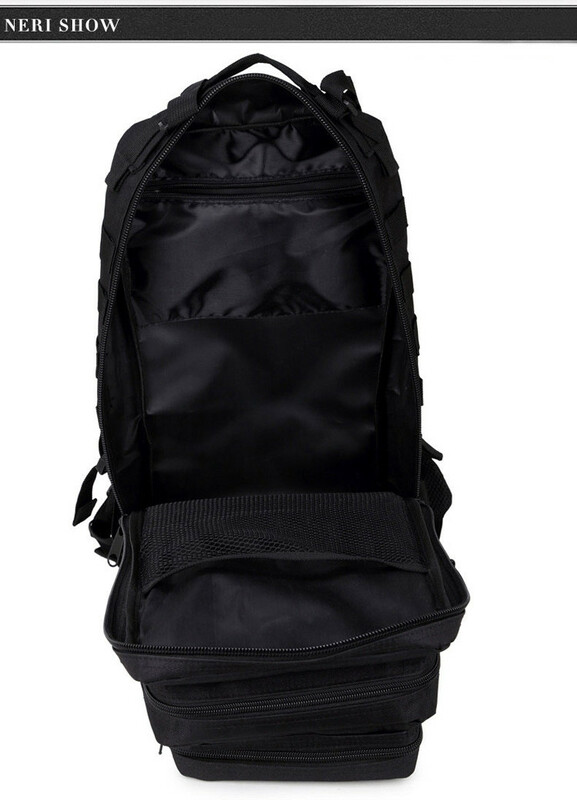 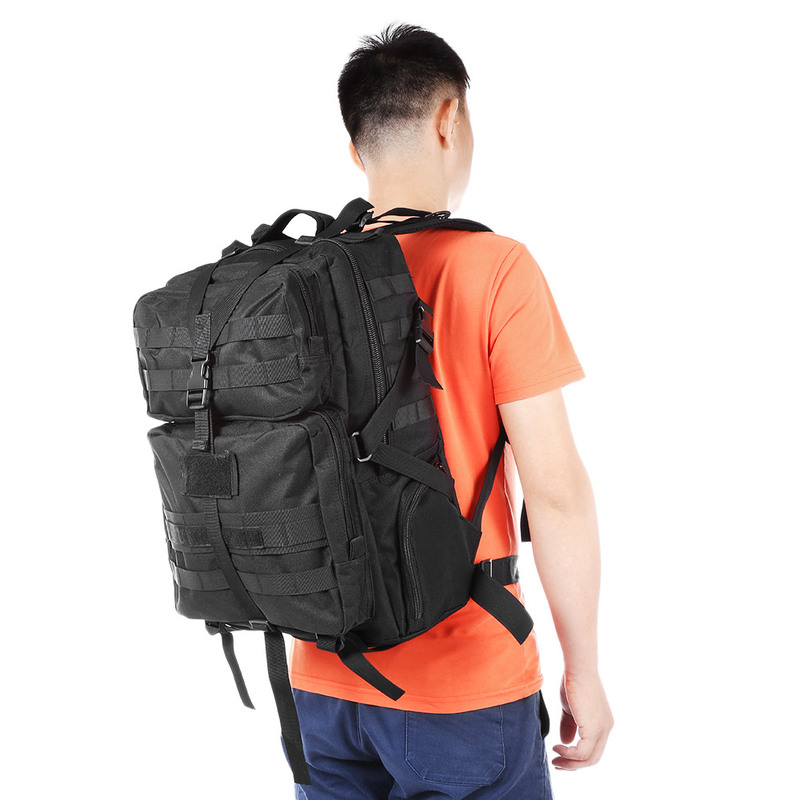 MULTIPLE WAYS FOR USING: Woosir 35L tactical backpack can be used as 3 days assault pack, bug out bag, range bag, hunting backpack, survival backpack, army backpack, trekking backpack or day pack for daily use, even suitable for the school bag. 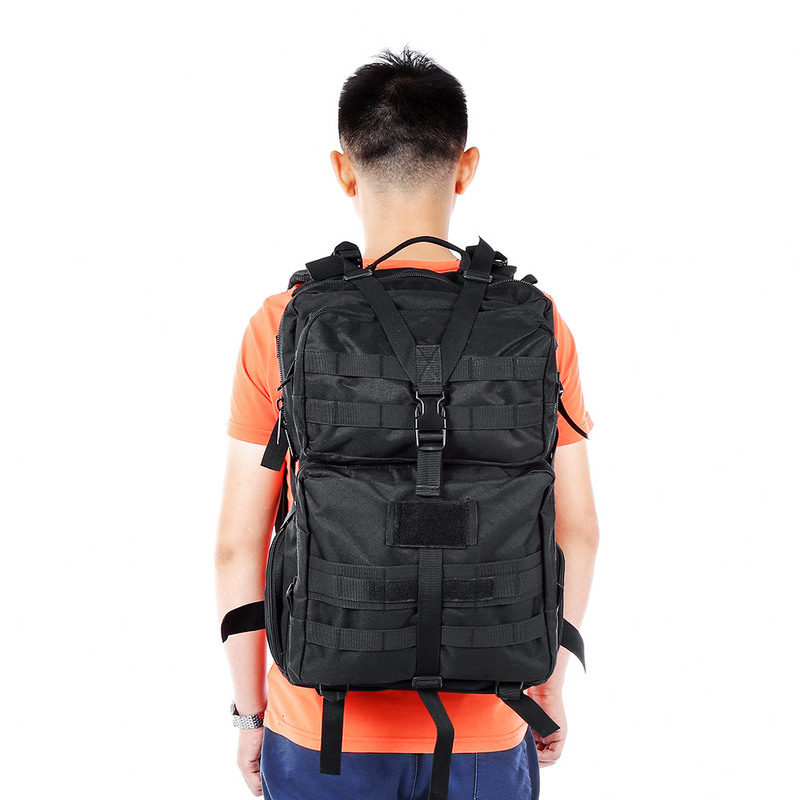 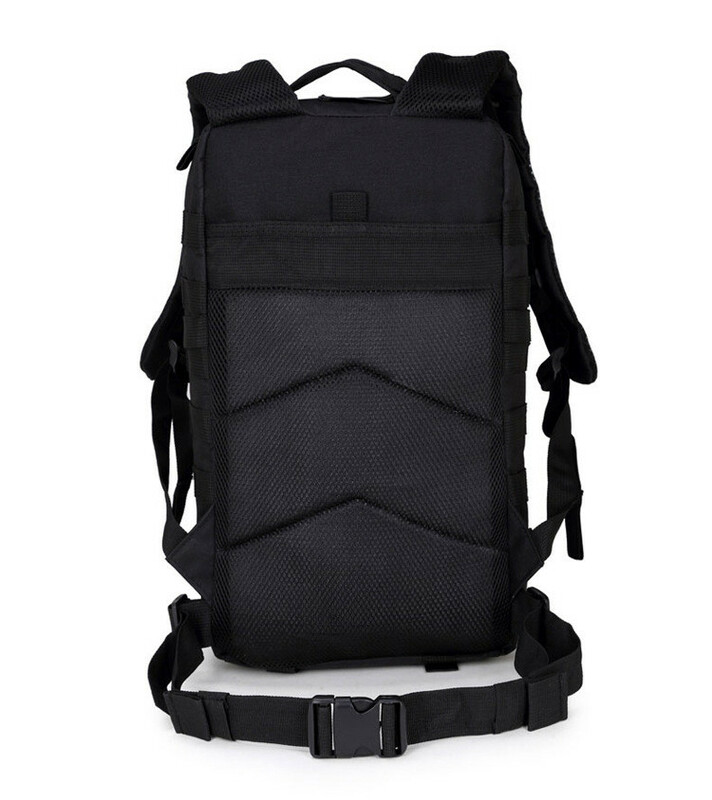 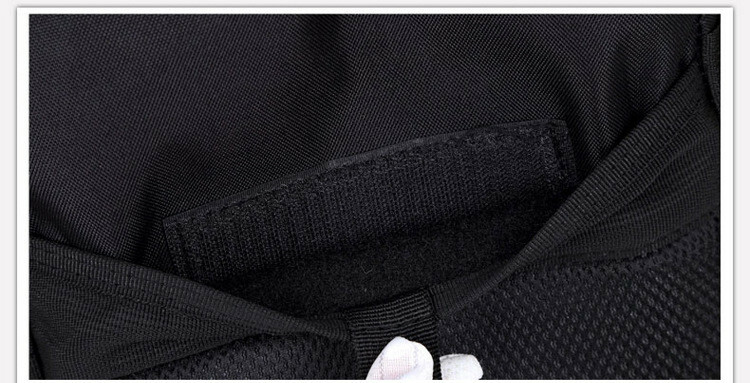 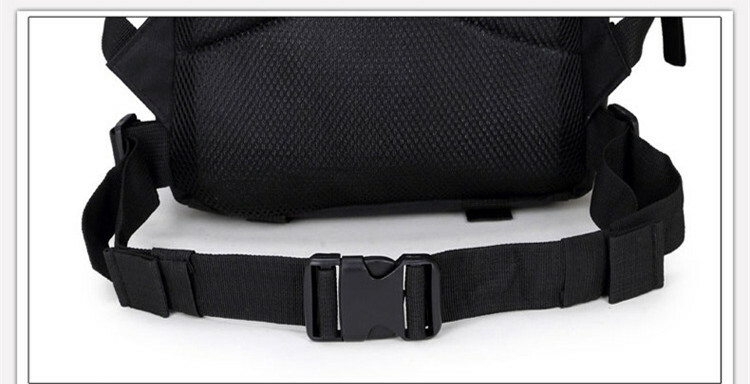 HYDRATION COMPATIBLE: the back of our tactical backpack can be placed in a hydration bladder (not include) which may up to 2-3L, you can use it as hydration backpack or outdoor camping hiking backpack.